We’re all familiar with the “sandwich generation”, those with the dual burden of caring for children and ageing parents at the same time. “Sandwich citizens” could be used to describe long-term expats who have lived in ignorance of, and non-compliance with, US extra-territorial tax laws but, at the same time, have felt an identity as Americans. This group could also include those who have been forced against their will to renounce a once precious relationship to the United States during this ongoing tax crisis. Depending on where they reside, “sandwich citizens” may have been able to fly “under the radar” and, as some have suggested, may not be in the same immediate danger as those who were already aware of US extra-territorial taxation and complied with it on an annual basis. But neither are they completely safe. A man who walks on the savannah may not be in the jaws of the lion but he knows the lion is nearby . . . and he is wise if he walks cautiously. “Sandwich citizens” find themselves in the midst of a battle between two sets of emotions. On the one hand they love the country of family, friends and fond memories but, on the other, they burn with anger and grief at their betrayal by that same country . . . much like the psychological chaos of divorce. “Sandwich citizens” need a place to share their pain with like-minded sufferers. Yes, we are all in this together, but sometimes certain commonalities of experience require sharing amongst a specific sub-group. 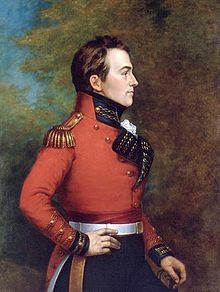 For example, some of the most active people here at the Isaac Brock Society are Australians. They have a specific set of issues, unique to their country, that have been imposed upon them by the United States; so they developed their own thread for focused discussion of their problems. The “Sandwich Citizens” thread is set up in that same spirit. If you are a “sandwich citizen”, or have some sympathy with our plight, welcome to this thread! For purposes of filling out Part I, the date of your expatriation is the later of the date you notified the relevant agency of your expatriating act or the date Form 8854 was first filed in accordance with these instructions. Apply the rules of section 7502 to determine the date on which this form is filed. Generally, the postmark date is the filing date.